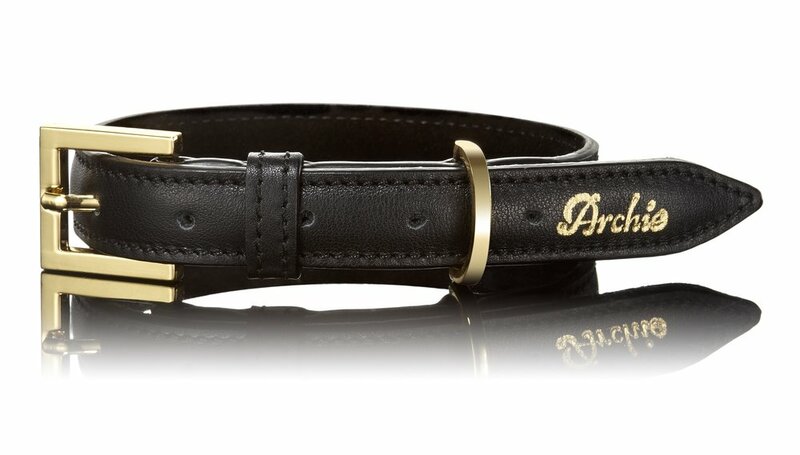 Allow your dog to stand out from the pack with it's very own one off piece..
Paws with Opulence recognise the individuality of every canine and for that reason, we offer you a service to customise your very own luxury dog collar and/or lead. Our bespoke service puts luxury design completely in your hands, giving your royal canine an exclusive piece suited to their desired style and personality needs. We don't just want to pamper your pooch we want to spoil them rotten! Simply fill in the form below with as much detail as possible. If possible please include colour types or product names when explaining the colour and type of leather that you wish for us to use, in order for us to get it absolutely right. Once we have received your order we will contact you via email with the confirmation of your order, design outline and the total price. Using a flexible measuring tape or string and a ruler, measure around your dog's neck allowing 1-2 fingers to slot in between. e.g. 5 Swarovski crystals added to the middle of the collar... Please be very specific. As customised items are one-off pieces and require sourcing new materials and extra craftsmanship, products of this nature can take between 4-6 weeks to be created and delivered. Please refer to our FAQ's for delivery and returns policies.